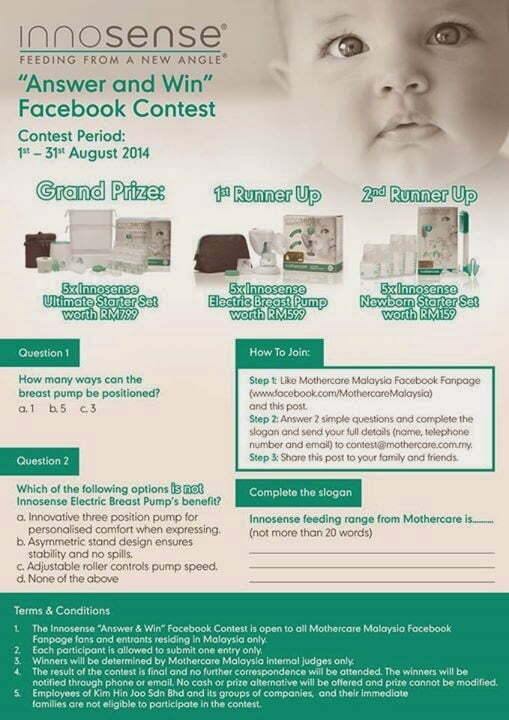 In conjunction with August- the Breastfeeding month, the Innosense ‘Answer & Win’ Facebook Contest is back again! This time the prizes are greater! Check it out! Like Mothercare Malaysia Facebook Fanpage. Share the post to your family & friends. 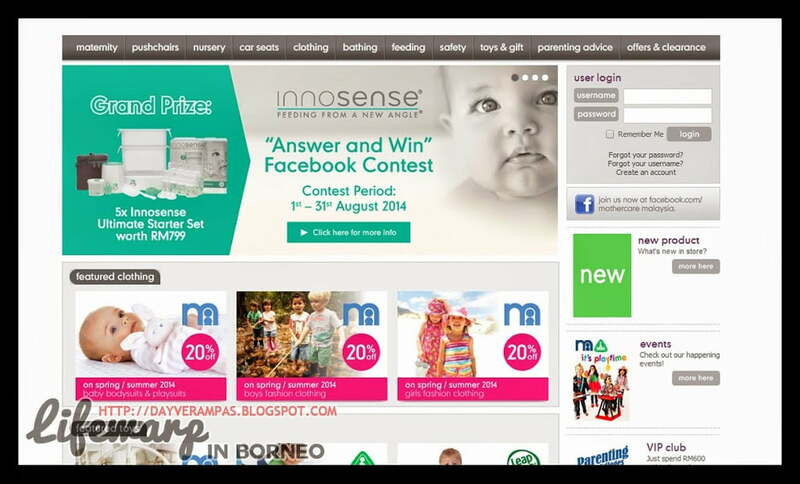 The Innosense “Answer & Win” Facebook Contest is open to all Mothercare Malaysia Facebook Fanpage fans and entrants residing in Malaysia only. Each participant is allowed to submit one entry only. Winners will be determined by Mothercare Malaysia internal judges only. The result of the contest is final and no further correspondence will be attended. The winners will be notified through phone or email. No cash or prize alternative will be offered and prize cannot be modified. Employees of Kim Hin Joo Sdn Bhd and its groups of companies, and their immediate families are not eligible to participate in the contest.